Chilling just got a whole lot better with this must-have sweater doll. 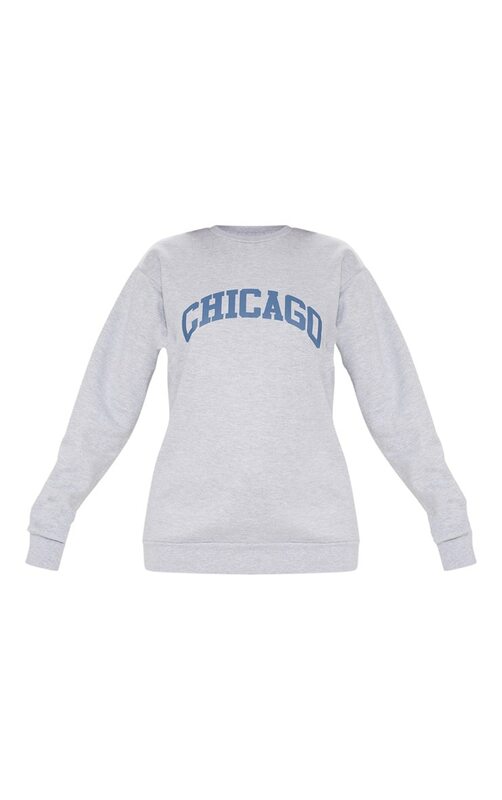 Featuring a grey marl fabric with a 'Chicago' slogan across the front, long sleeves and a loose fit, you can't go wrong. Team with matching joggers and complete this off-duty look with fresh whtie kicks.